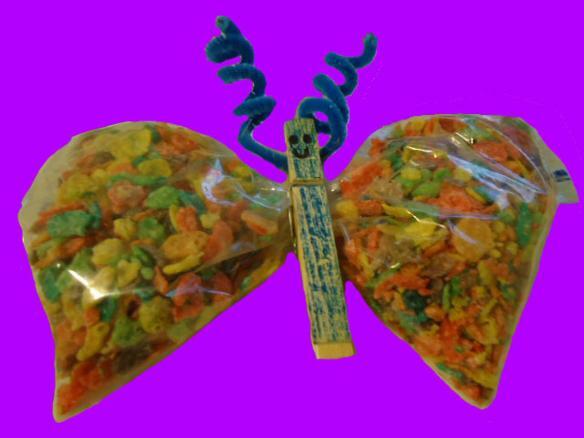 Take you ziplock bag and put a small amount of fruit pebbles in the bag. Take your wooden clothespin and put in the middle. Color your clothespin and add two eyes and a mouth with a black sharpie marker. Take a pipe cleaner and twist it around a pencil a few times to get it to curl up and stick the pipe cleaner in the top of clothes pin. 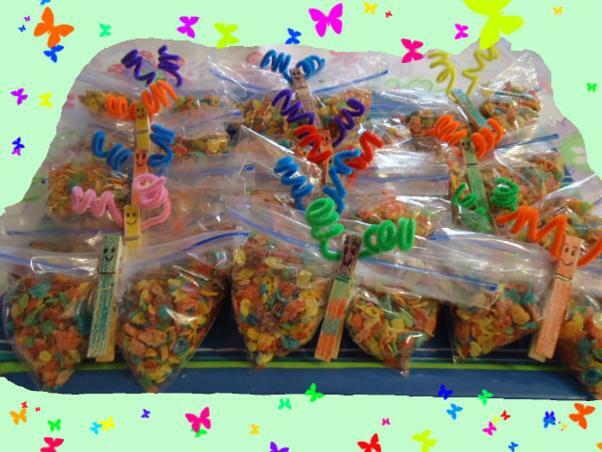 These are great snacks for the kids when teaching a lesson over Spring. Teach how God made the season Spring and how he made the butterflies. God creates everything you see. He is an awesome God!